Bill and Judy Meridith are the owners of Tallgrass Cattle Company in Wellington, KS, where they maintain a select herd of Longhorn cattle. They have acquired some of the industry's most elite cattle, including the record-setting purchase of EOT Outback Beauty at the Legacy II and SDR Candy Cane at the Legacy IV. 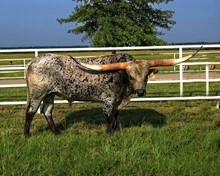 In addition to Texas Longhorns, the Meridith's have various other successful business interests. Among their proudest is the building of the Christian school WCA. Enrollment at WCA in the past years has reached 100+ students, a dramatic increase from the original enrollment of 4 students. 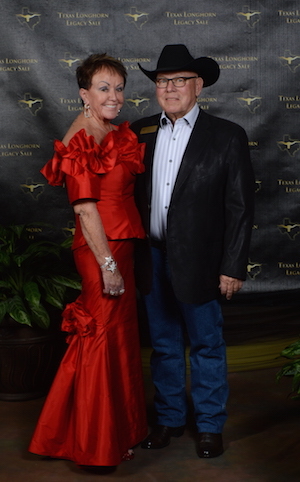 Bill and Judy look forward to another year of success within and outside of the Longhorn industry. Sold for $60,000 at 18 mos.